You can also personalise some of the Wedding Hearts for your special day through our laser cut letters – create anything you wish from your names through to Mr & Mrs, Mr & Mr, Mrs & Mrs or add your own personal message. The wedding hearts are large at 1.25M tall & 1.25M wide, the wedding heart pin board is the same size and with it’s legs stands at approximately 1.5M tall. The wedding hearts have hidden brackets allowing them to be wall mounted or suspended from flying points, beams etc. allowing for maximum impact. 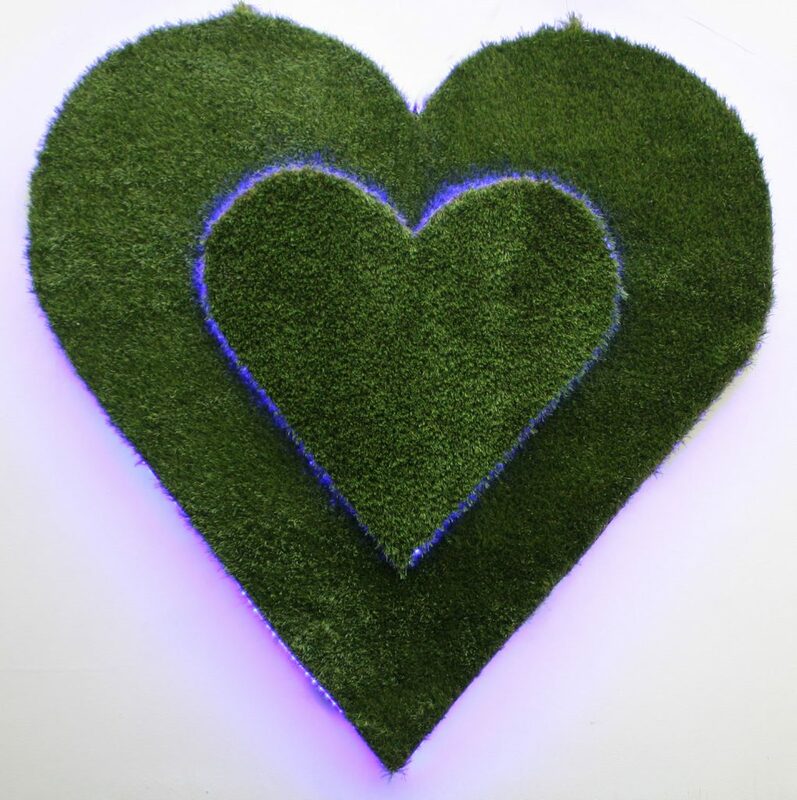 The wedding heart contain super bright LED lights, with remote control (control unit supplied) full colour auto transform mode, fading, flashing, chasing through to static colours to match your wedding colour scheme. Talk to us about a package deal when hiring the wedding heart in combination with wedding greenery.